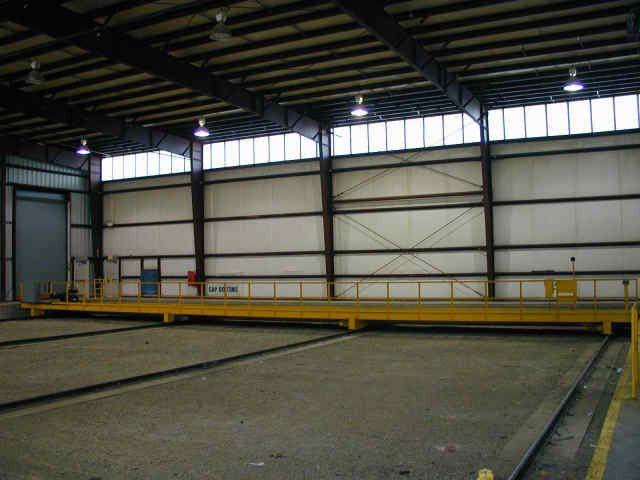 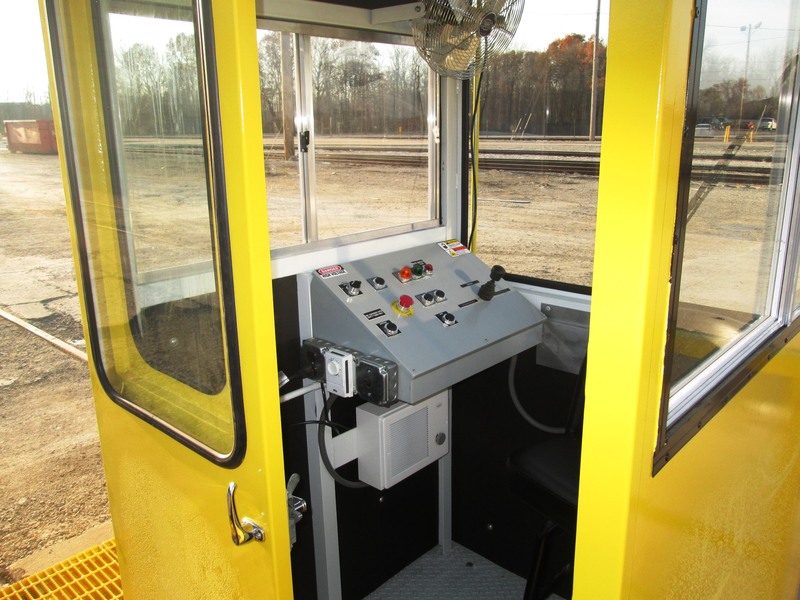 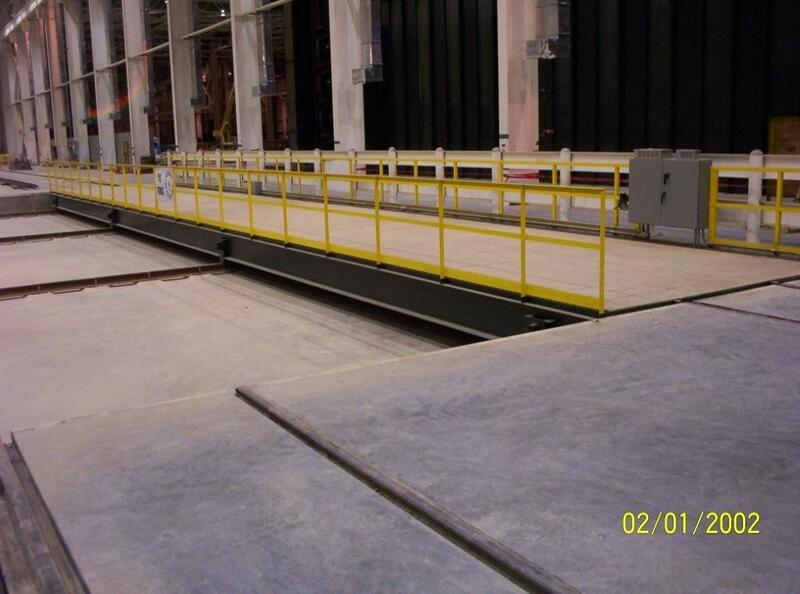 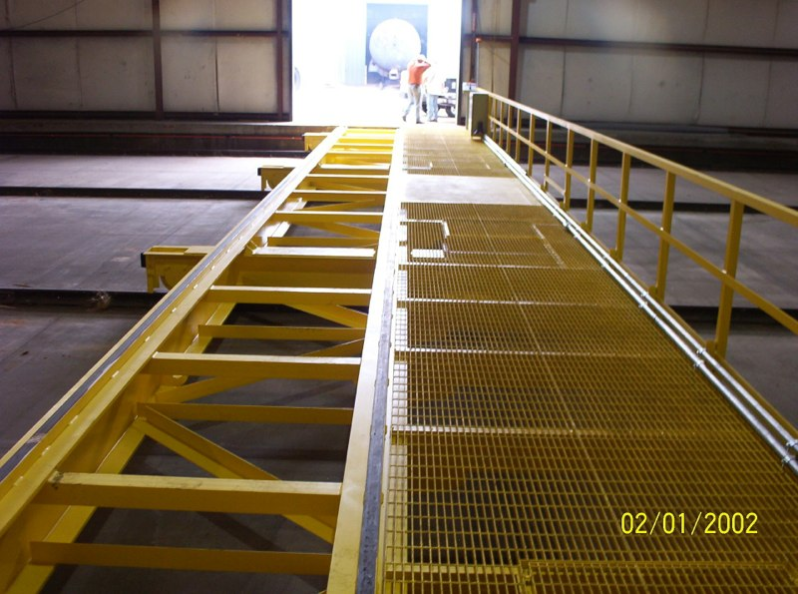 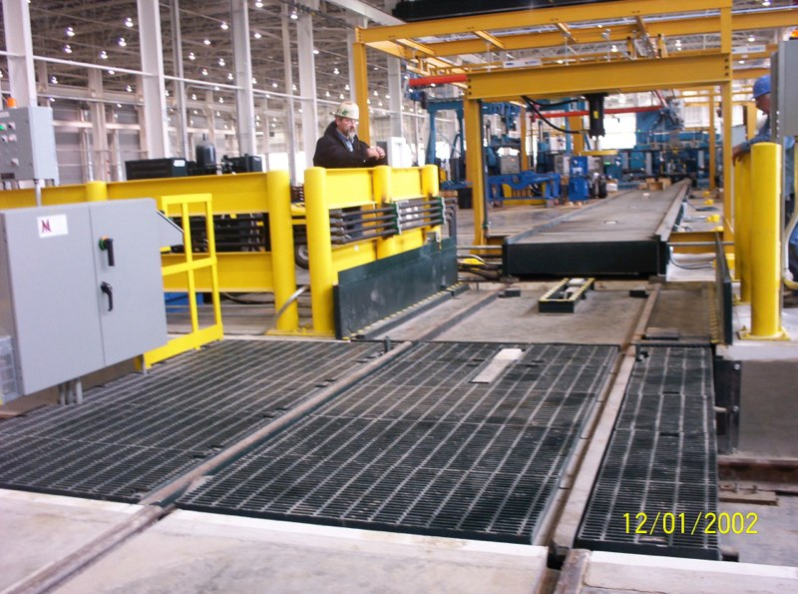 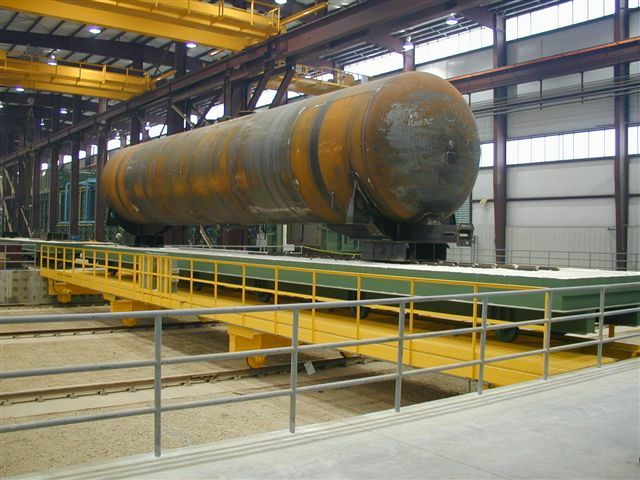 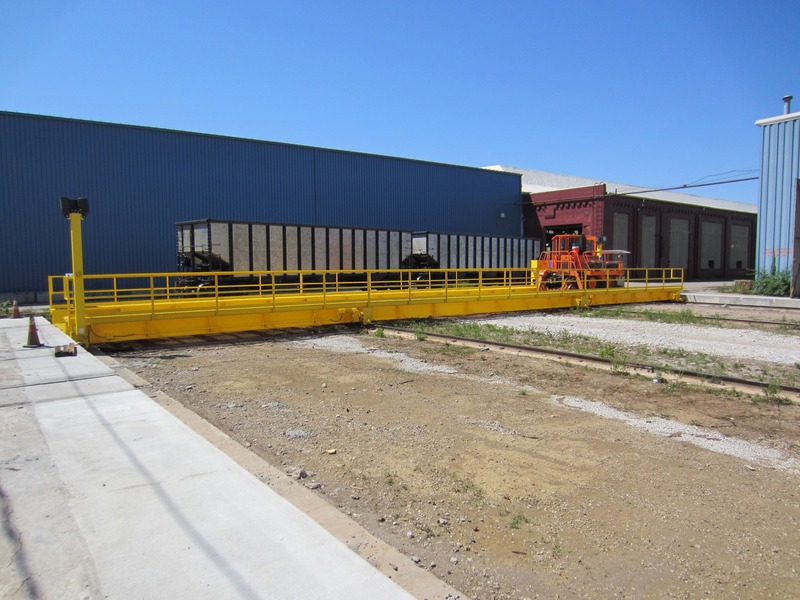 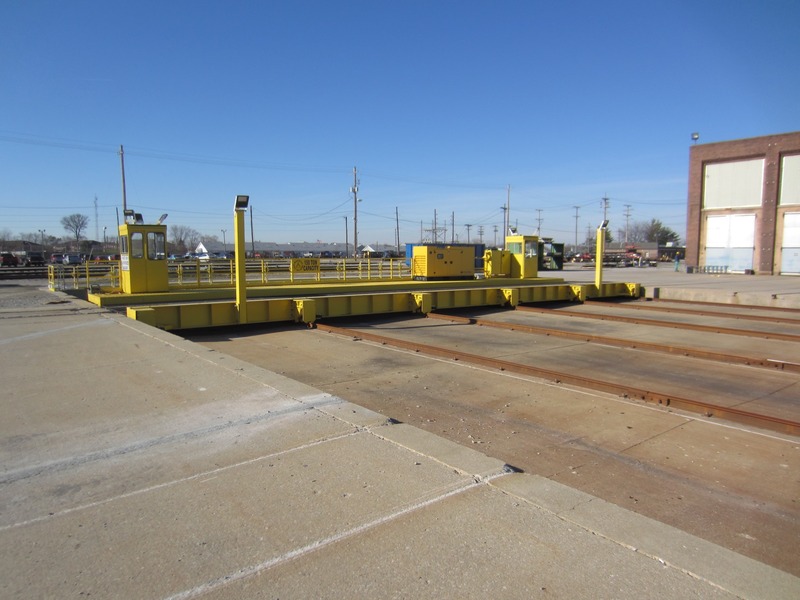 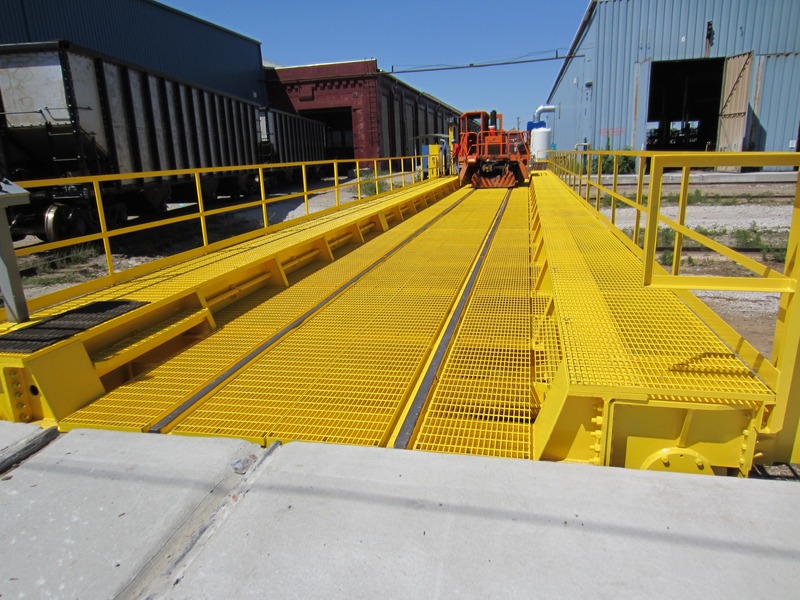 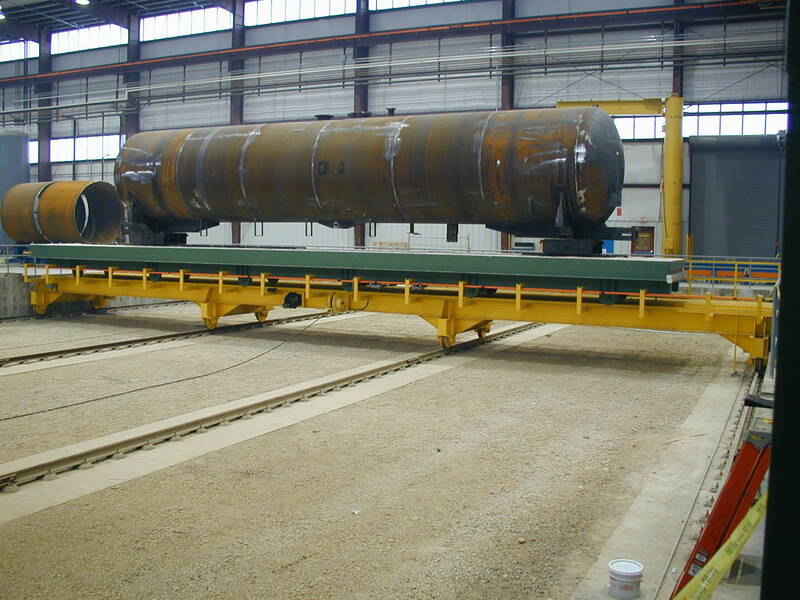 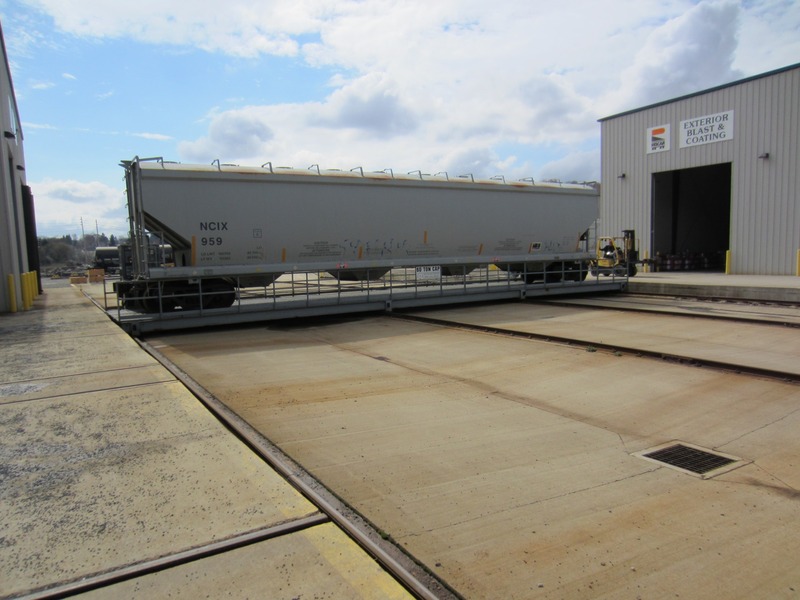 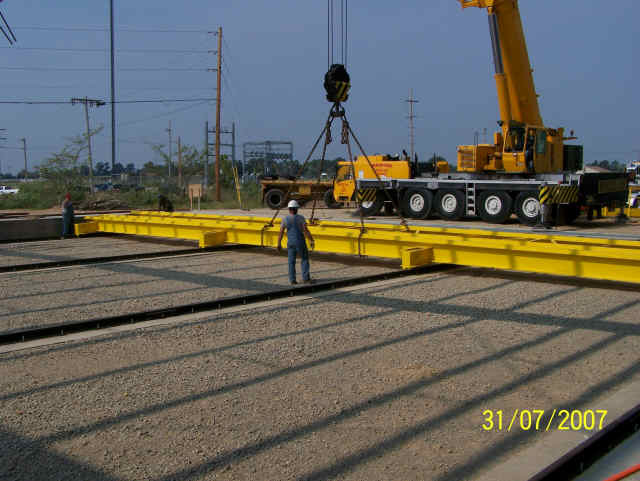 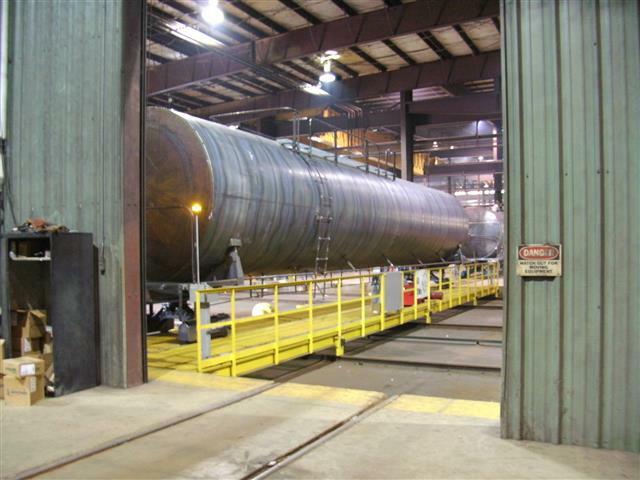 The original purpose of transfer tables was directed towards railcar manufacturing facilities in order to transport railcars from multiple track and bay locations without using unnecessary space with numerous sections of embedded rails and crossing switches. 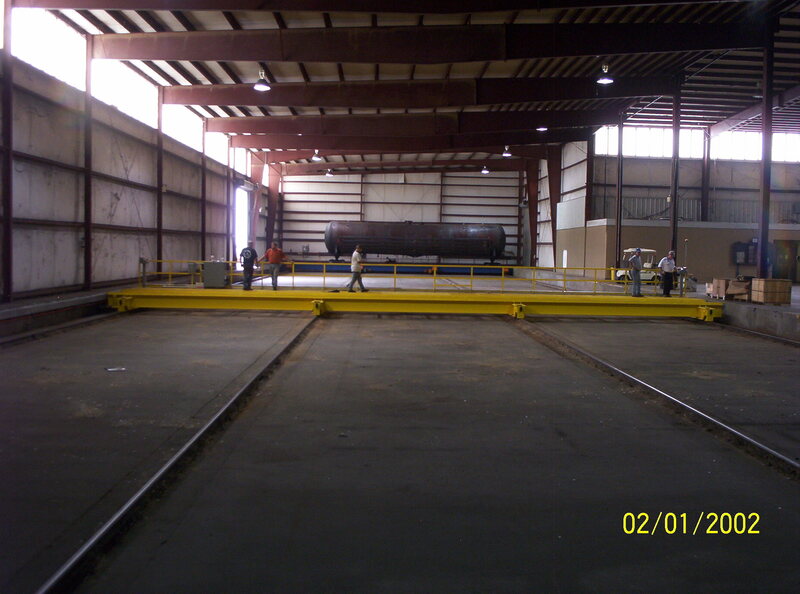 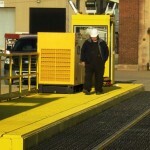 The operation of loading and unloading the table is first moving the railcar onto the table, aided by motorized trucks and an operator controlling of the table. 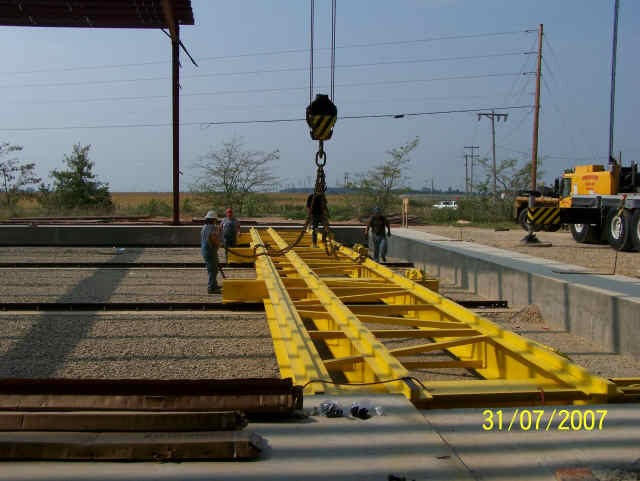 Tables are electrified by a collector bar (same system commonly found in bridge crane runways), cable reel, or even an on-board generator. 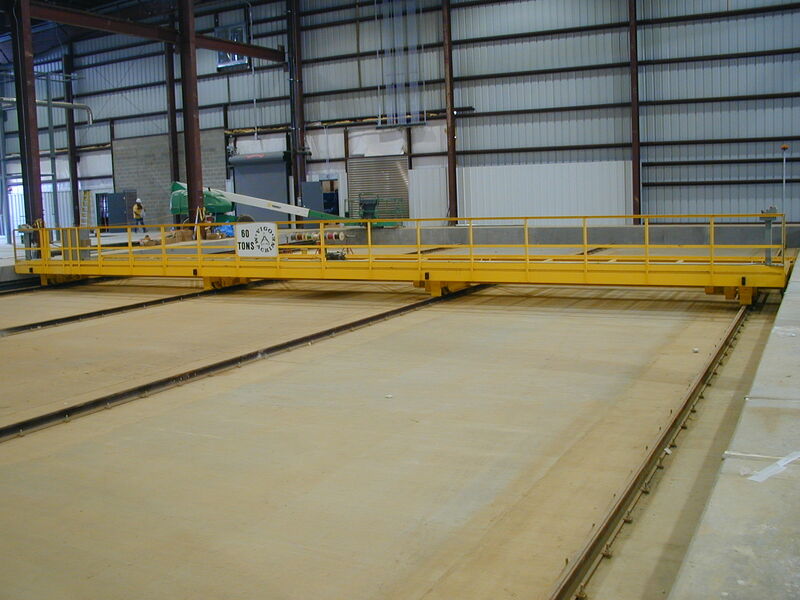 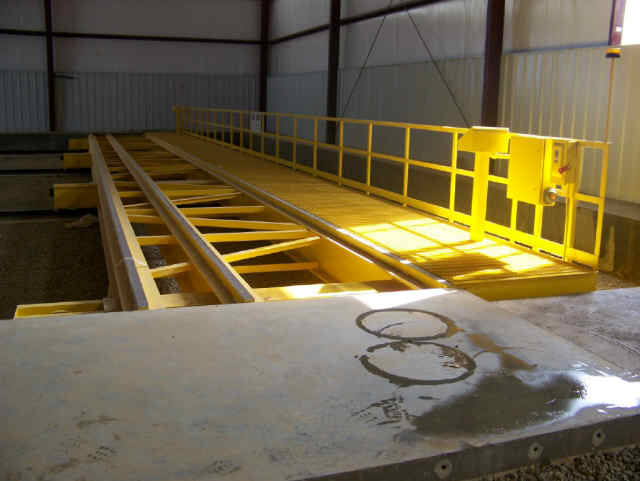 In addition to this use, another common function of the table is with sand blasting and paint booth operations. 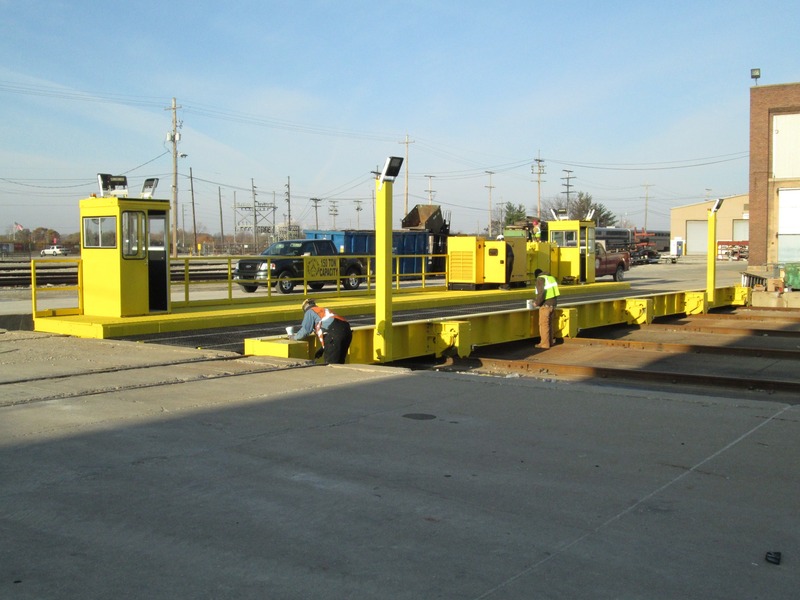 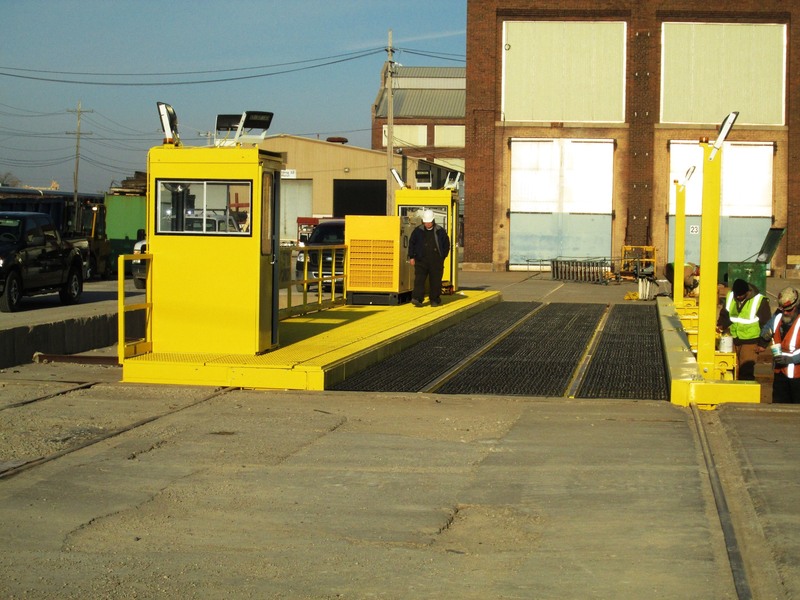 Best used when those booths are in need of service from multiple tracks systems or are in various locations throughout the facility. 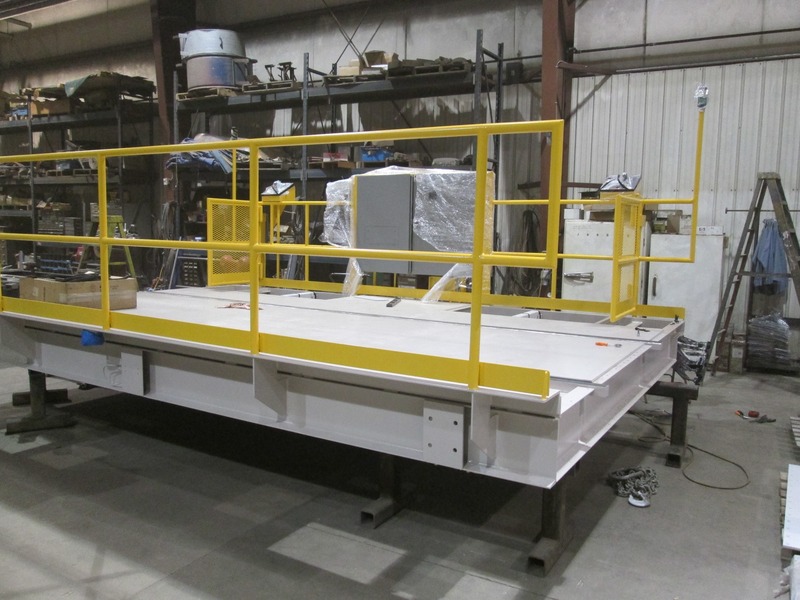 Our tables are well designed to handle the largest of loads and equipment as well as servicing smaller compact spaces with lower loading and tighter work areas.